Maplesoft has released Maple 2016.2, a maintenance update. This update contains the improvements added in Maple 2016.1, plus one additional fix: Corrects a problem in math notation input that can occur when using the ?? symbol with implicit multiplication. With Maple 2016, Maplesoft offers important new abilities to educators, researchers, scientists, and engineers that allow them to solve more problems, more easily, than ever before. 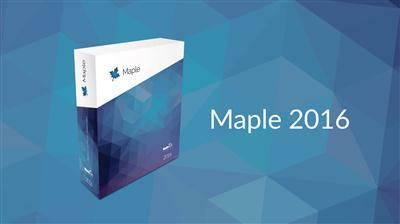 Maple 2016 includes enhancements through the entire product. It solves more mathematical problems from differential equations, statistics, graph theory, and many other mathematical domains. It also provides new Clickable Math options for performing operations at the click of a button, as well as other usability enhancements throughout the product.